I always find it hard to write a post for this day, In the past, I have either done what everyone else does which is put up a picture or cartoon of the event or just not post anything altogether. This day is a little different for Washingtonians. 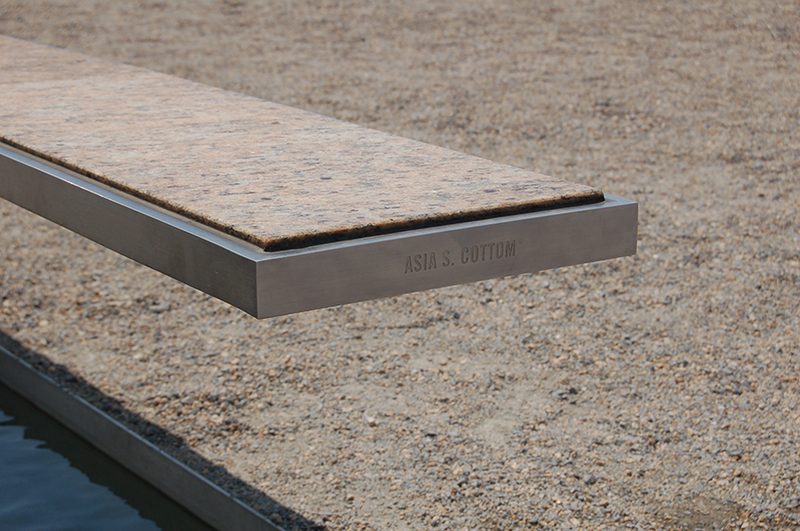 In the city of memorials, we have a simple, streamlined memorial just off the side of the Pentagon. 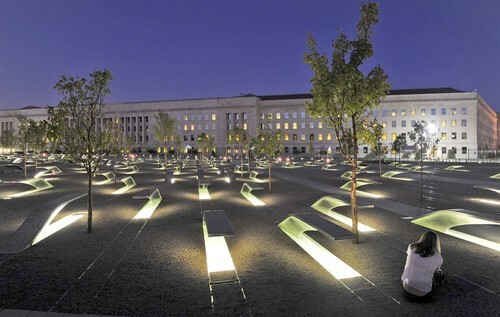 It's one memorial, but it's also 189 individual monuments; one for not only the 125 personnel at the Pentagon but also the 64 passengers and crew of American Airlines Fight 77. My emotions are too...don't quite know how I feel. I'm somewhere in between not wanting to think about it anymore and being pissed at the shallow displays of remembrance I see at stores (shame on you Walmart). In truth, I'm more pained by my belief that this day will become like Pearl Habor, a remembrance of a generation that will die out with them. Since anything I do on this blog will not amount to anything significant for this day past what it does for me, I'll just remember Bernard Brown, age 11, Rodney Dickens, age 11, and Asia Cottom, age 11. They were three students at Leckie Elementary School in Washington DC. They were on their first plane ride. They were on an educational trip to the Channel Islands National Marine Sanctuary near Santa Barbara, California, as part of a program funded by the National Geographic Society. If I remember nothing more of this day, I will remember you. Asia Cottom's parents created a scholarship fund in her name if you'd like contribute.